Ilove this song becouse it inspires me to stand up for what belive in and it is ok to believe in jesus christ. you have taught me to be who i really am and that nobody should be able to change that or make me any less than myself. You touch many lives so thank you for all your magnificant lyrics and songs! This is a AWESOME song. So uplifting! They might be bigger but we're faster and never scared. THAT is why I adore Taylor. She gave us the best song when we feel down. 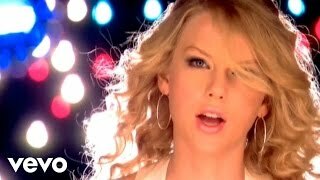 I love you Taylor Swift!